We are well-established hairdressers in Orpington and we have many clients in and around the area. Over the years, we have built up a reputation as a leading salon, providing a hairdressing experience that is fully tailored to you and your requirements. Our salon is set in Green Street Green, where we can offer you the ultimate hairdressing experience. Sit back, relax and enjoy your hair appointment, and leave the salon looking and feeling beautiful. 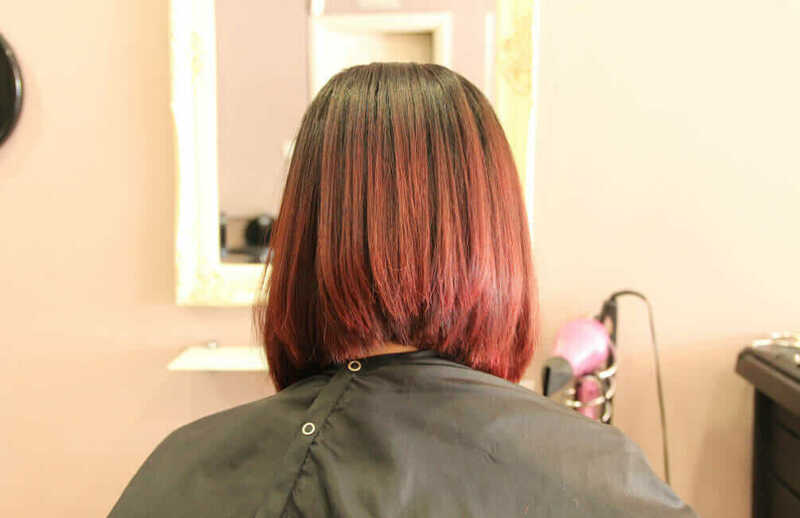 Book in with Serenity for a haircut or complete restyle, and you will be in safe hands with our experienced stylists. Our stylists are all highly trained and keep up to date with the latest trends, so we will always be happy to offer advice on styles that will work for you and your hair type. Sit back, relax, and enjoy a cup of tea or coffee while our stylists get to work. We offer a range of hair styling services in salon. Choose a bouncy blow dry, a smooth and sleek style, or an up-do that is perfect for formal events. Discuss what you would like, then let your stylist work their magic. Our hair colouring services will be fully tailored to you, creating a colour you love. Our stylists will use a colour chart to show you the available shades and will help you select the perfect colour for you. We use L’Oréal colouring products and include a protein called SmartBond in every colour, at no extra cost. This protects your hair during colouring, so it will be stronger and healthier, and your new colour will look even more beautiful. Ask Serenity to be your stylists for your special day – it’s always an honour to create bridal hairstyles that make our brides look and feel beautiful. The process always starts with a trial to choose the look that is just right for you. Treat yourself to a nourishing Brazilian blow dry, designed to help straighten and smooth your hair. We use KeraStraight, an innovative brand creating hair repairing treatments and products, giving you instant results. Your hair will be smoother and easier to style, plus it will feel silky soft. If you want to rebuild moisture and strength, why not try the Kerastase Intense Boost, a protein mask that re-hydrates your hair. a new must have colouring service, protecting and strengthening during any colour service without compromising the result, only for the better. Smartbond is added to your colour allowing it to do its magic whilst colouring then a locking treatment is applied at the basin to seal the internal treatment. This also comes with a take home conditioner at an extra cost meaning you can boost Smartbond at home. All prices are Inclusive of Smartbond and excluding cut & finishes. A 24 hour skin test is required for colouring services. We are a passionate team of hairdressers based in Orpington. Meet the Serenity stylists. Before any appointment, we make sure we carry out a full consultation, sitting down with you to discuss your requirements so we can achieve your desired look. Our clients love seeing stylists who really listen to them.